In a week ending with embarrassing blackface political scandals in Virginia, Gucci has shown itself to be jealous of the backlash. 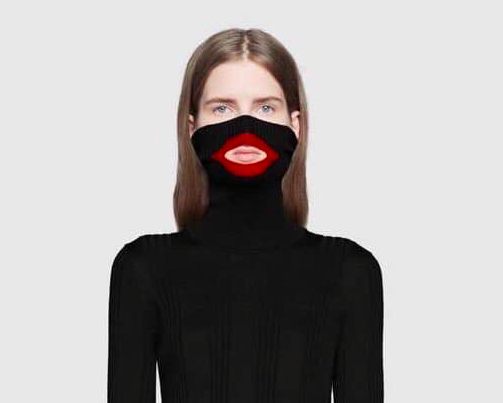 The Italian luxury brand jumped into the fray by releasing a blackface turtleneck with a Jigga Boo-inspired design. Are they really trying to make blackface fashionable? Really? This stunt is actually 10 times worst than H&M’s monkey sweatshirt that came out last year. Actually, I’m positive the designers involved in this hideous cloak of racism have no shred of awareness or intelligence. So, this was actually a concept you intended to sell for [mostly white] people to wear out in public? Got it. “We consider diversity to be a fundamental value to be fully upheld, respected, and at the forefront of every decision we make,” the apology continued. For the record, blackface will never, ever, ever, ever, ever, be acceptable in any situation. It is symbolic of the hateful treatment black people were forced to endure in this country for decades. There is no college party, event, or yearbook photo op that will ever make blackface okay. Historian Dale Cockrell once noted that poor and working-class whites who felt “squeezed politically, economically, and socially from the top, but also from the bottom, invented minstrelsy” as a way of expressing the oppression that marked being members of the majority, but outside of the white norm. Minstrelsy, comedic performances of “blackness” by whites in exaggerated costumes and make-up, cannot be separated fully from the racial derision and stereotyping at its core. By distorting the features and culture of African Americans—including their looks, language, dance, deportment, and character—white Americans were able to codify whiteness across class and geopolitical lines as its antithesis. Seriously, get educated because these blackface episodes are embarrassing at this point. We have 20 more days left to enjoy our Black History Month and I pray those remaining weeks are free of any more stupidity because I’m tired.